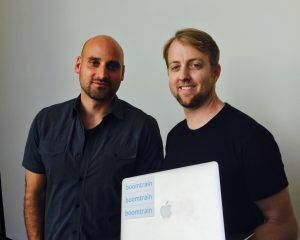 Above: Boomtrain’s cofounders Christian Monberg, President & CTO (left), and Nick Edwards, CEO, (right). Photo provided by VentureBeat. Boomtrain, a marketing platform that uses artificial intelligence (AI) to drive relevant interactions with users at every touchpoint, announced it has signed a definitive agreement to acquire partner,India-based Nudgespot. Nudgespot has built a live chat messaging platform that will integrate into Boomtrain’s technology to deliver a seamless experience for businesses to communicate with customers and visitors on websites and in mobile apps. Boomtrain and Nudgespot initially partnered nine months ago, and have been co-developing a product that combines Nudgespot’s platform with Boomtrain’s AI technology. Terms of the acquisition were not disclosed. The combined companies will be creating a communication platform to be called Boomtrain Messenger that will give businesses a new means of communicating with customers. Additionally, the acquisition will increase Boomtrain’s presence in Asia and facilitates expansion in the business to consumer messaging space.